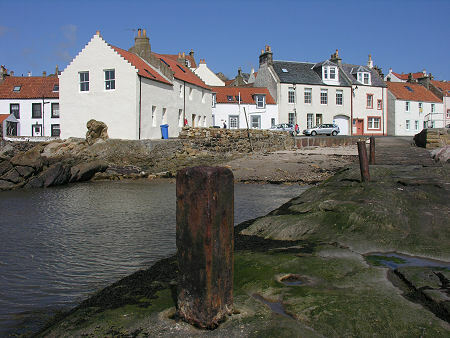 If you haven’t visited the East Neuk of Fife, you’ve missed a real treat. Head south from St Andrews for about half an hour and you meet Anstruther, Crail, Pittenweem, St Monans and Elie. Beautiful villages with houses with red tiled roofs – tiles which came as ballast in trading ships. The area reminds me of Cork where I went on childhood holidays – and there is a whiff of Brittany about it as well. The villages are also a bit like villages on the Greek Islands – convoluted streets which make it possible to get lost within the compass of about 100 yards. We have two faithful congregations there – St Michael’s is in a ‘tin tab’ in Elie and St John’s is in Pittenweem. Alison had a great day with them on Sunday. I enjoyed the moment when I found that the glass in my hand had part of the Declaration of Arbroath etched on it! And did I mention that they are looking for a part-time Rector?